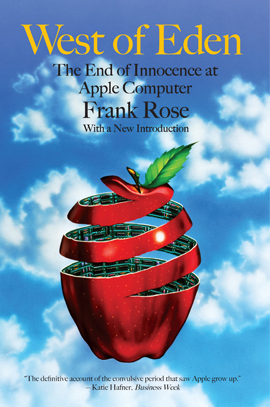 "Frank Rose has written the book on Apple and the entire Silicon Valley phenomenon." IT SEEMS UNTHINKABLE TODAY—but more than 30 years ago, when personal com­puters were new and the World Wide Web had not yet been invented, Steve Jobs was cast out of Apple. The year was 1985. IBM and Microsoft seemed poised to dominate the world of personal computing. The revolutionary Macintosh, launched with such fanfare just a year earlier, was foundering. And Jobs seemed not just expendable but a threat to the company he’d built. Apple, a company started in a garage by two California whiz kids who took as their emblem the "perfect fruit," would be run by a pin-striped East Coast marketing executive.